HONOLULU (Reuters) - At age 19, Delton Walling agreed to have an injured finger surgically removed so he could enlist in the U.S. Navy, and went on to see action in most major World War Two battles in the Pacific. But after years in combat, and a lifetime of joy and loss, the memories of one event stand out above all others for Navy veteran Walling - the chaotic Sunday morning he spent in a Pearl Harbor signal tower as Japanese bombers pounded the U.S. Pacific Fleet. Walling, 91, a retired tree trimmer and paper mill worker now widowed and living in California, says returning to Pearl Harbor this week, as he has for 25 of the past 71 years since the attack, transports him back in time, to a day when his personal history and the nation's history merge - December 7, 1941. "You just can't take that day out of me," he reflected in an interview with Reuters. "I thought my life might end that day," he recounted. "We were devastated. Everything was blowing up right in your face. We were taught that we were the best, but the Japanese far outclassed us." Walling is making his latest Pearl Harbor pilgrimage in a wheelchair, fitted with a pacemaker and hearing aids. He is one of an estimated 1,000 Pearl Harbor survivors still alive today, and one of just 50 expected to attend services on Friday on the Hawaiian island of Oahu commemorating the surprise Japanese air and naval assault that claimed 2,390 American lives and drew the United States into World War Two. 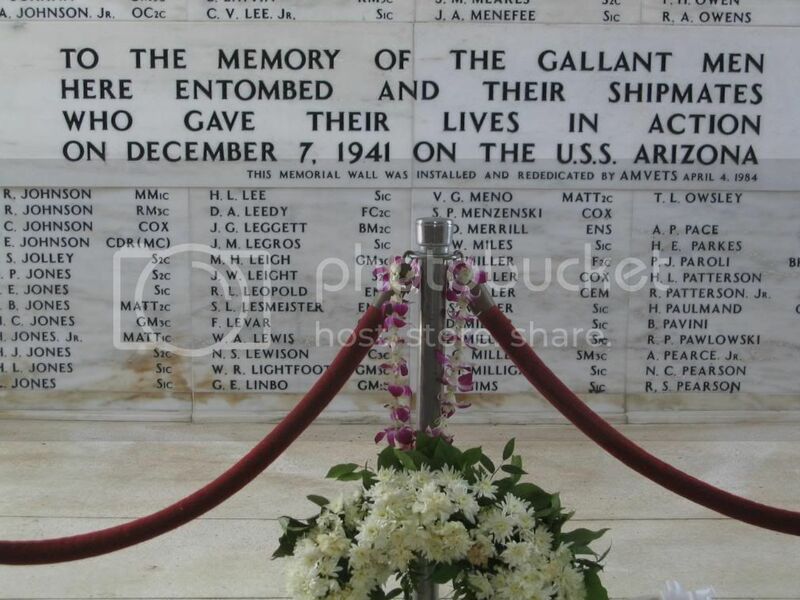 Nearly half of those who perished were sailors aboard the stricken battleship USS Arizona, the sunken remains of which lie beneath a platform that forms the centerpiece of the World War Two Valor in the Pacific National Monument, a site administered by the National Park Service. The 90-minute raid also left 1,178 people wounded, sank or heavily damaged a dozen U.S. warships and destroyed 323 aircraft, badly crippling the Pacific fleet. At the time, Walling was a petty officer and signalman attached to the battleship USS Pennsylvania, then dry-docked in port, and was assigned to the communications force of Admiral Husband E. Kimmell, commander of the Pacific Fleet. Walling had been scheduled to report for duty that day at 4 p.m. local time, but while out on a run at 6:30 a.m. he decided to stop by the communications tower to collect on a debt from a fellow sailor who was about to ship out. Arriving at the tower, he was informed that an American destroyer, the USS Ward, had just sunk a Japanese mini-sub encountered at the mouth of the harbor, an incident that came to be regarded as the first American shots fired in the war. "By the time the communications were sent, it was 7:56 a.m. and that's when the first (Japanese) bombs hit on the ramp at Ford Island. It hit all the planes lined up on the runway. In 15 minutes, the (battleships) USS Utah and Oklahoma rolled over, and the (battleship) Arizona blew up at 8:05 a.m."
Once the Japanese bombers were on full attack, Walling said, he never left his post, transmitting and decoding messages for 14 or 15 hours straight at the signal tower. "We were watching all these planes overhead, the oil on the water burning, the men. The Japanese pilots were like synchronized dancers overhead. We were standing at the tower, devastated," he said. Walling, who now resides in Wallace, California, near Sacramento, said the precise times and details of events are seared in his memory, something that the passage of seven decades, the birth and death of his daughter and the death of his wife, have been unable to dampen. "We were thinking what else is coming," Walling recalled of the bewilderment he and his fellow sailors felt in the immediate aftermath of the raid. "It was a terrible scene. We were devastated and mad and afraid because we didn't know what was coming next." The next day, he was promoted to chief petty officer. When Walling joined the Navy, he was barely 19. A former boxer, he had an injured finger that almost kept him from enlisting. A military doctor told him the only way he could enlist was to cut it off. So he did. "I joined the Navy because I didn't like the idea of being in a foxhole," Walling said. "I was in almost every battle in the Pacific. If there was an island involved in the war, I was there." And now, without any family left, Walling said, his last wish is to have his ashes scattered after he dies among those of fellow sailors at the site where the battleship Utah sank. As has been the practice with past anniversary ceremonies, visiting veterans, relatives and dignitaries will bow their heads on Friday for a moment of silence at 7:55 a.m., the time when the attack began, as military jets soar overhead in a "missing-man" formation. The destroyer USS Michael Murphy and the submarine USS Tucson will render a salute to survivors and fallen servicemen, and the morning service will end with a "walk of honor" by the attending World War Two veterans, all of them in their late 80s and early 90s. 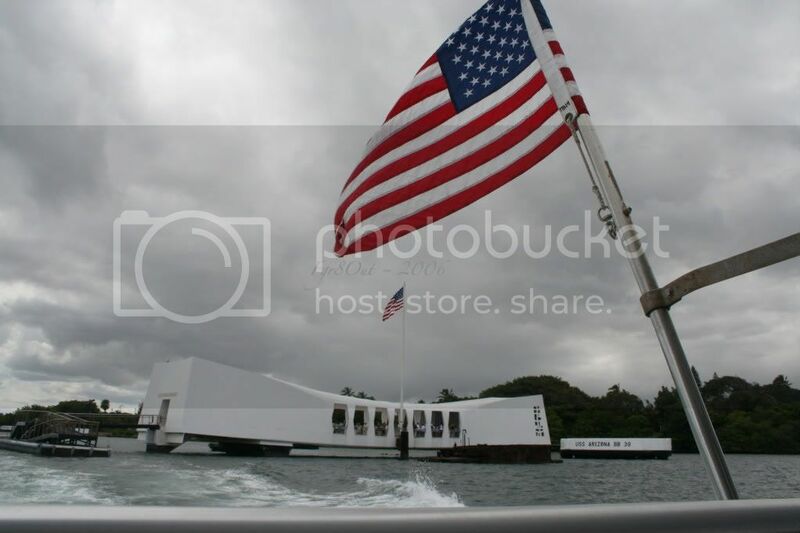 The turnout by Pearl Harbor veterans on Friday was expected to be only about half what it was last year, when about 100 showed up, half as many as attended the previous year.